As Chief Diversity Officer and Director for the Office of Business Opportunity for the City of Houston, Carlecia D. Wright leads a City Department that ensures economic opportunity and workforce inclusion. 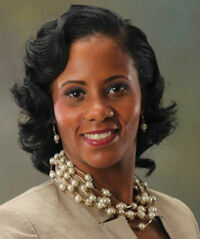 In this mayoral-appointed role since April 2011, Carlecia has led the rebranding and transformation of a division of the Mayor’s Office and oversaw the creation of a newly formed City Department committed to diversity, equity and innovation by providing economic opportunity and inclusion throughout the City. As a key member of the administration, she manages a citywide effort to support and further develop a diverse community by facilitating policy development, training and implementing programs that foster equity and inclusion in the broadest sense possible. This includes providing strategic, operational, and organizational leadership that grows capacity for intercultural competence, nurturance of diverse populations, and inclusive opportunities in leadership and economics. She serves as the leading advocate on matters of equity, diversity, and inclusion, addressing critical community issues, and developing City strategies on equity. Houston’s Mayor Sylvester Turner relies on Ms. Wright to listen and give voice to emergent issues of equity, diversity, and inclusion internally, within the local communities, and nationally as it affects the City. Under Carlecia’s focused and strategic direction, the City of Houston has a renowned record for economic inclusion awarding over $2 billion dollars to diverse businesses, a strategy that has become a model for cities around the country. Among other historic and innovative firsts, she garnered unanimous City Council approval to revise policy to address matters on equity and inclusion. She has also led workforce initiatives that focus on diversity and inclusion of historically disenfranchised individuals to workforce opportunities. Additionally, she is the host of the television show, Insights to Opportunity, a program she created and produced in collaboration with Houston TV, that highlights economic and diversity initiatives throughout the region. With an 18-year track record in public and external affairs roles, Carlecia has illustrated her commitment to diversity and inclusion through various community and economic programs. Carlecia has received several awards for her achievements, including being named one of the 2016 Women to Watch in Business by the Houston Chronicle, awarded 40 Under 40 by the Houston Business Journal and she received the prestigious Breakthrough Woman Award from the Greater Houston Women’s Chamber of Commerce and named one of Houston’s Most Influential Women. Carlecia is often asked to serve as a speaker in both public and private sector forums across the country on topics of leadership, diversity & inclusion, and racial & economic equity. She has a Bachelor’s Degree from Columbia College of Chicago and a Master’s Degree from New York University’s Robert F. Wagner School of Public Service. She is a graduate of the City of New York’s Leadership Institute, the Center for Houston’s Future, Leadership Houston and a Senior Fellow for the American Leadership Forum and one of the Greater Houston Women’s Chamber Thought Leaders. Carlecia is an Executive and Communications coach, and is formally trained and is a candidate for various certifications in Coaching, Diversity, and Leadership Development.